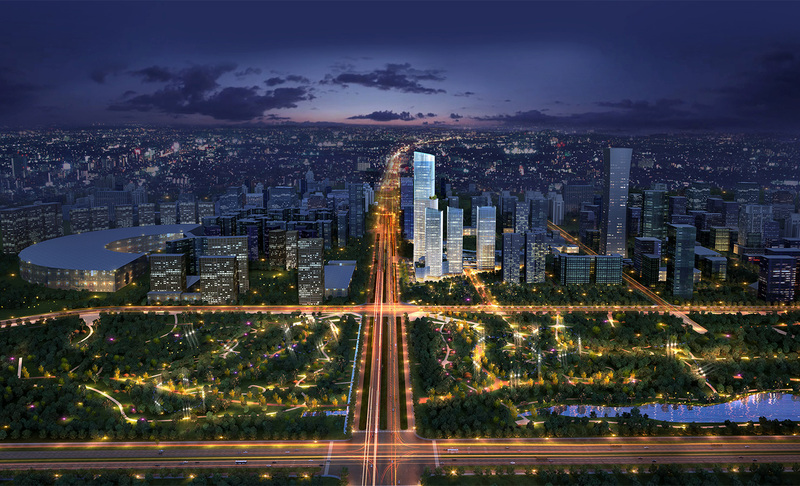 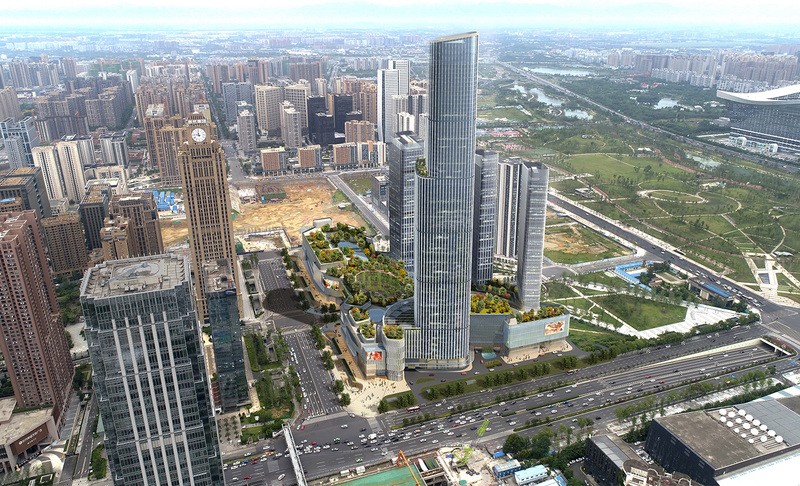 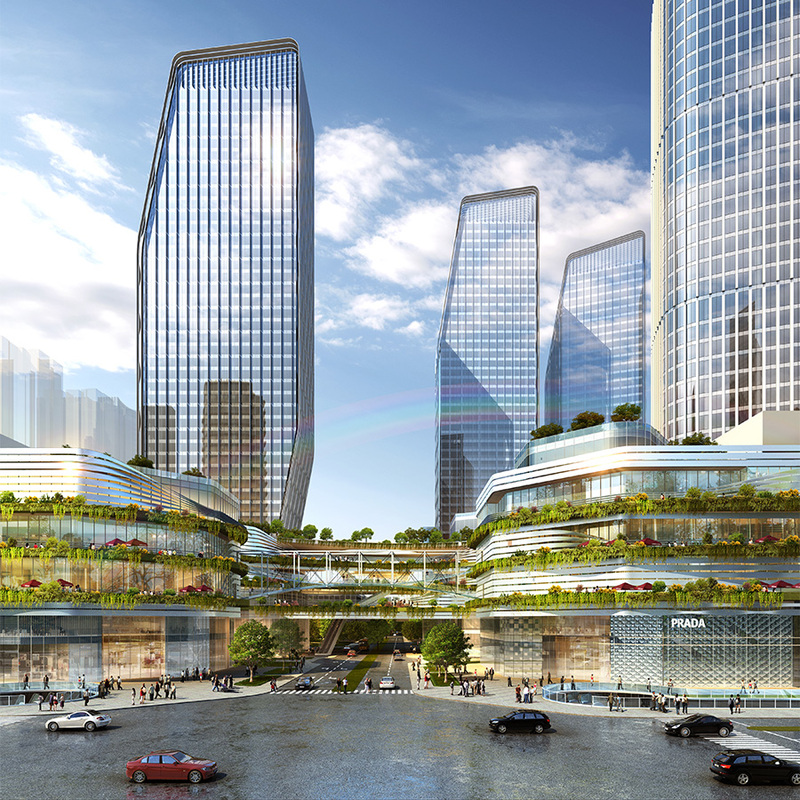 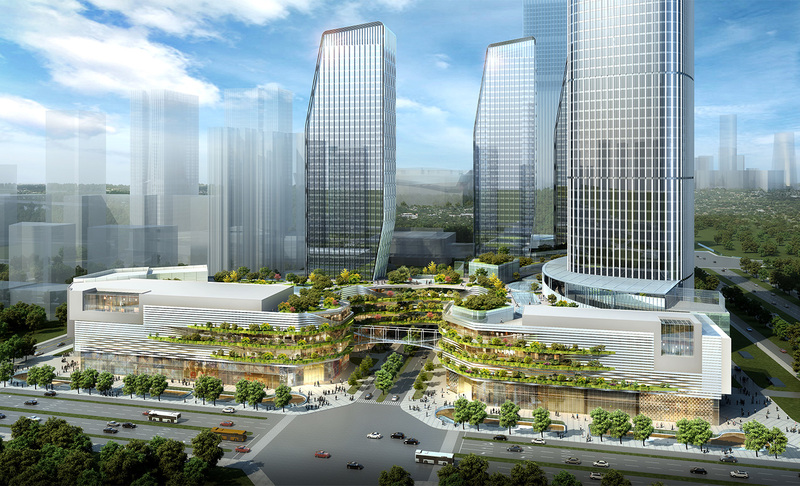 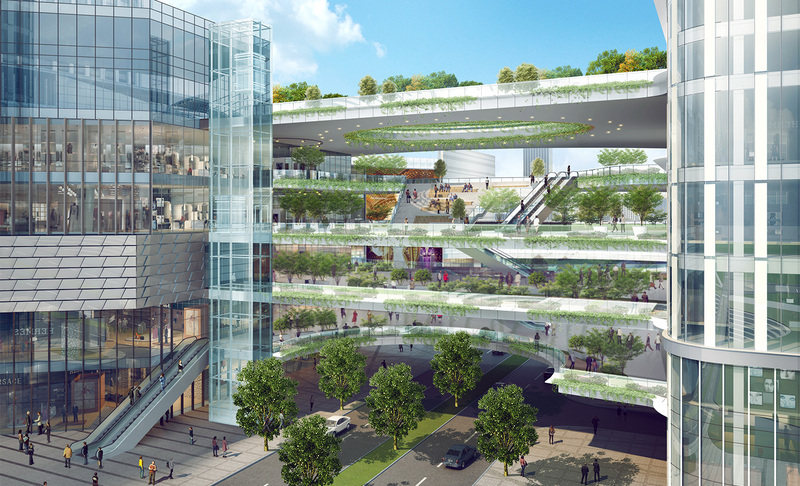 Shihao Center is a new generation of ecological mixed-use developments in China, incorporating retail, leisure, residential, office and hospitality uses. 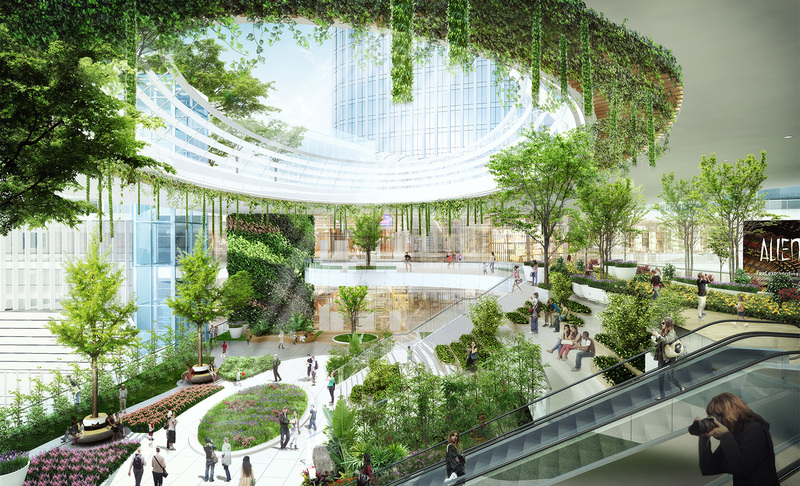 The retail podium integrates a blend of distinct typologies (high street luxury brands and a hybrid Department Store concept) connected by a multi-level “oculus” bridge resplendent with tropical foliage and a design vocabulary alluding to the bamboo tree. 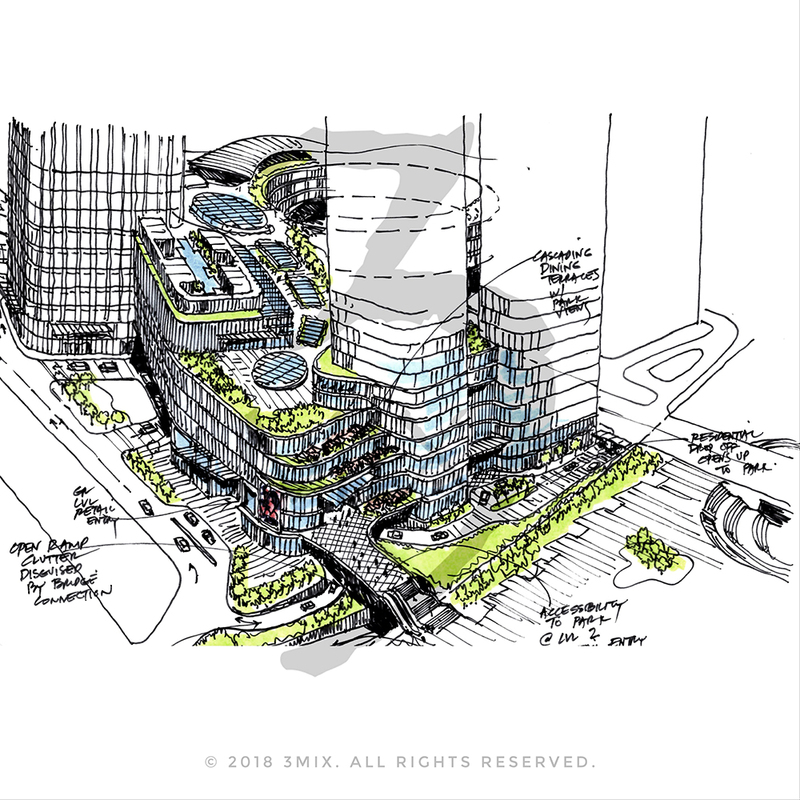 The layered façade of stone, glass and metal panels reflect the compositional mix of rectilinearity depicting the city grid and organic forms depicting the province’s lush geographies. 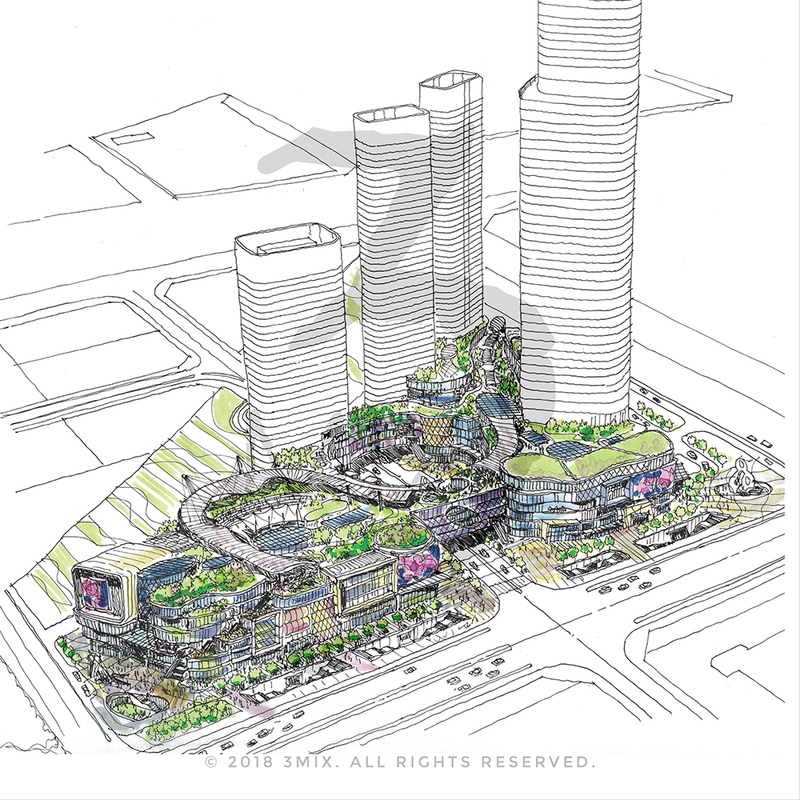 The signature 300+m hotel and branded apartments tower designed by KPF and three residential towers are carefully orchestrated within the site plan to ensure clear and uninterrupted views of the new CBD.